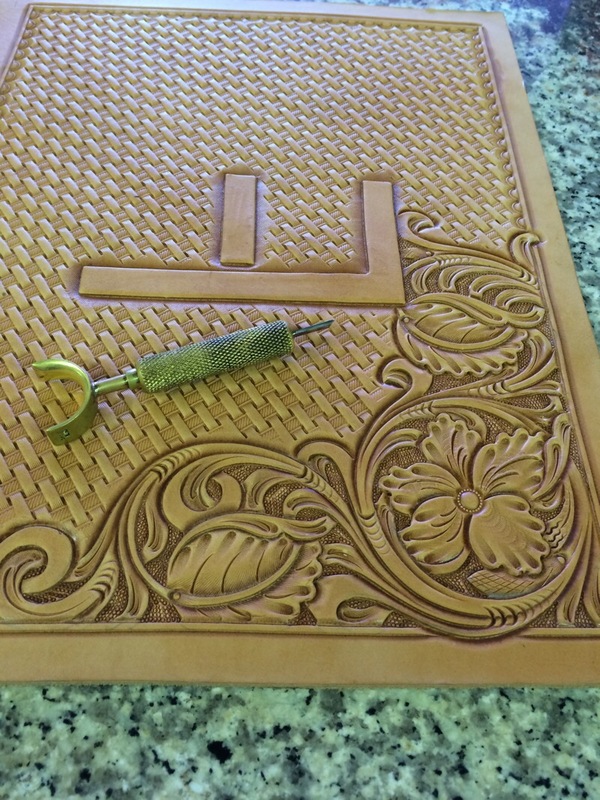 When it comes to actually stamping out the floral design, every leather tooler is different in their approach. To me, the main thing that sets a productive tooler apart from the competition is all in their process. As with any goal or project, the main thing to focus on is devising a plan and executing the plan with great focus and uninturupted deligence. This is almost impossible if you are taking time to decide which tool to use next, or worse yet trying to find the tool you need next. I am a firm believer that any task or project involves a certain set of rules and a certain workflow that, once decided upon and followed, lead to high productivity and a cleaner product when completed. Each and every product has a certain workflow that works best for the environment and the craftsman making the product. The following is the workflow that I use when tooling the majority of my patterns. 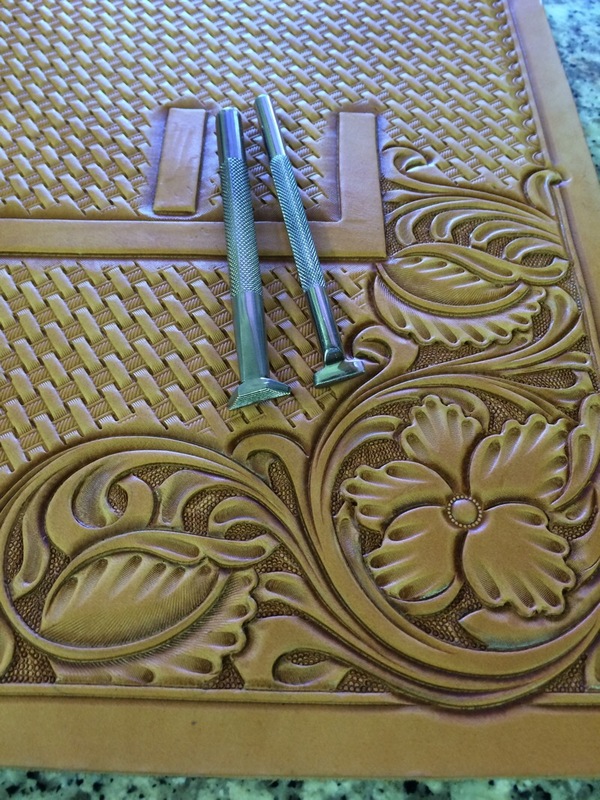 When I begin any floral tooling job, and once my artwork is designed and carved in, I begin with under cutting all small curves within the pattern. I make it a point, anytime I pick up a tool, to go through the entire pattern performing that tool’s task anywhere I can before putting it down and grabbing another tool. This rule holds true no matter the size of the tooling pattern. If you will get into this habit then your overall tooling time will decrease greatly. A lot of time is wasted switching tools or like i said before… searching for the tool you need. If you have it in your hand, do all you can with it before moving to the next one. 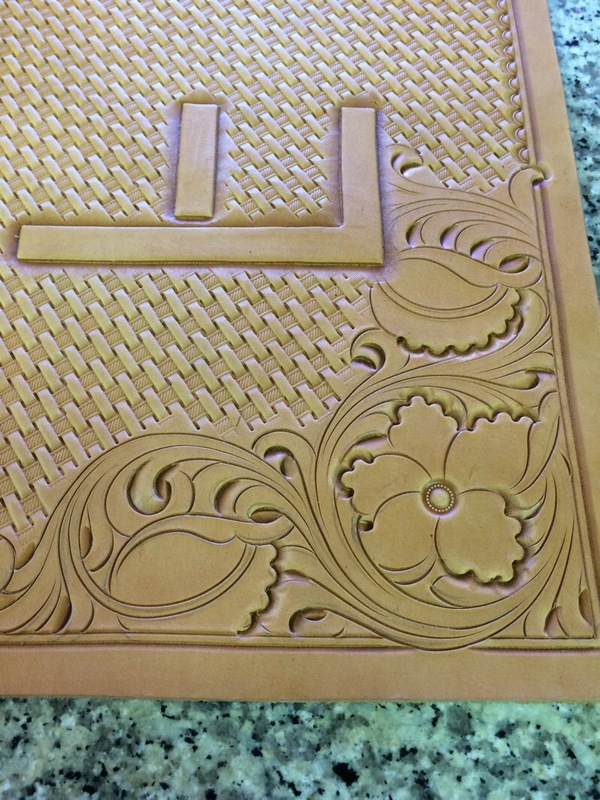 Tooling is about focus, and staying focused on the tasks lead to a completed piece of art. With under cutting, I recommend having a small, medium and large in order to be able to take care of virtually any size tight curve. Undercuts are great and keep you from trying to fit a square beveler into a curved line. I work my way up from small to large when it comes to tool order when undercutting. After all the undercutting is completed, I move to my crowners. This is not a tool that is mandatory, but I find them to be a great time saver and they keep my scalloped rounded and clean. These work much better than beveling around them with a tiny beveler. These are a one tap tool for the most part and I keep a small and large, these two sizes will handle most any scallop that I need. I will also use the large one on the tips of any vinework that has its tips exposed and not under a border or other vine. When all this is complete, I now move on to my beveling. I use a small, medium and large checkered beveler and I run them from large to small. I first bevel all the long lines with my largest beveler going through the pattern to bevel as much as I can with this tool. Don’t force this tool into spots! If the tool is too big for the line you are trying to bevel then skip it… We will have a chance to bevel that after we are done with all the long lines. 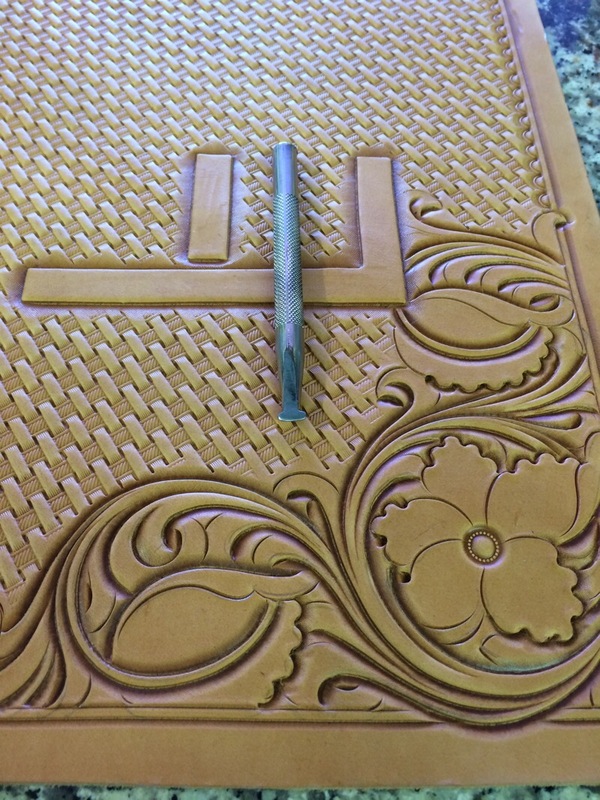 This will be the longest spot in the tooling process depending on the pattern. This is where time is made because you have one tool to focus on and your running through line by line without regard for what you can’t bevel with this tool… just stay focused and bevel long lines. Now all the long lines are beveled and you are ready to grab the medium beveler and proceed to working on any lines that were too small for the large beveler. Same rule applies here, if it won’t fit skip it and wait till you have the small beveler in your hand. This step goes much faster as you have already beveled the majority of the lines in the last step. After completing this, I take my small beveler and clean up any small spots I couldn’t get before with the other two bevelers. The next tool you will use is your bargrounders or whatever background tool you choose to use. At this point all the lines should be beveled, making the background easy to determine. When all the backgrounding is completed, now I use my thumbprint on all my flowers, leaves, and vinework. This is where the detail work begins within the pattern. The tools you use here is completely up to you. The point is that now is where your pattern will start to take shape. I also use my leaf liner where needed at this point. 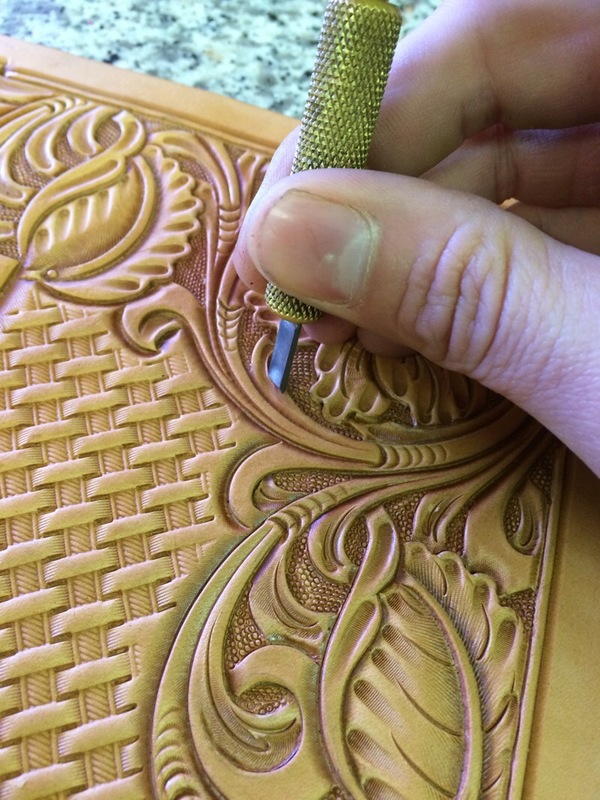 After thumbprinting, or pear shading, you are ready for any fine detail stamping. 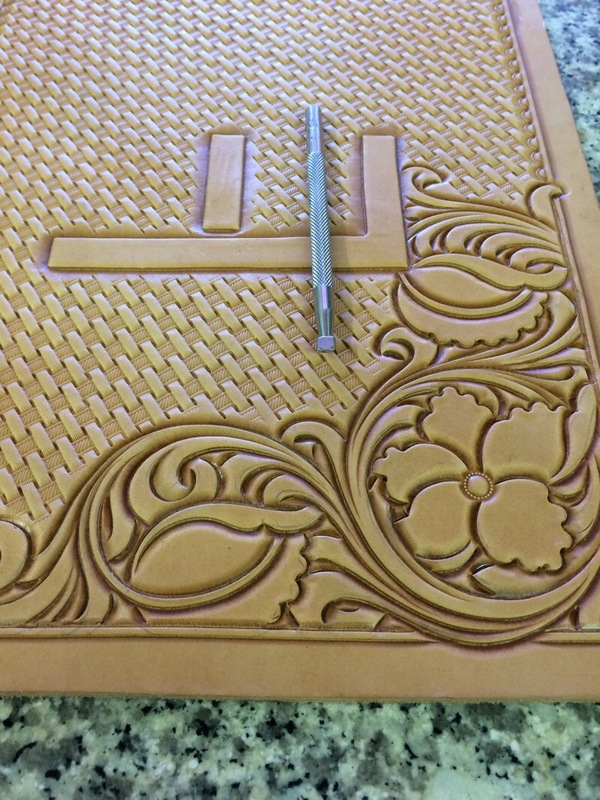 This step depends a lot on the style of the pattern that you are tooling. 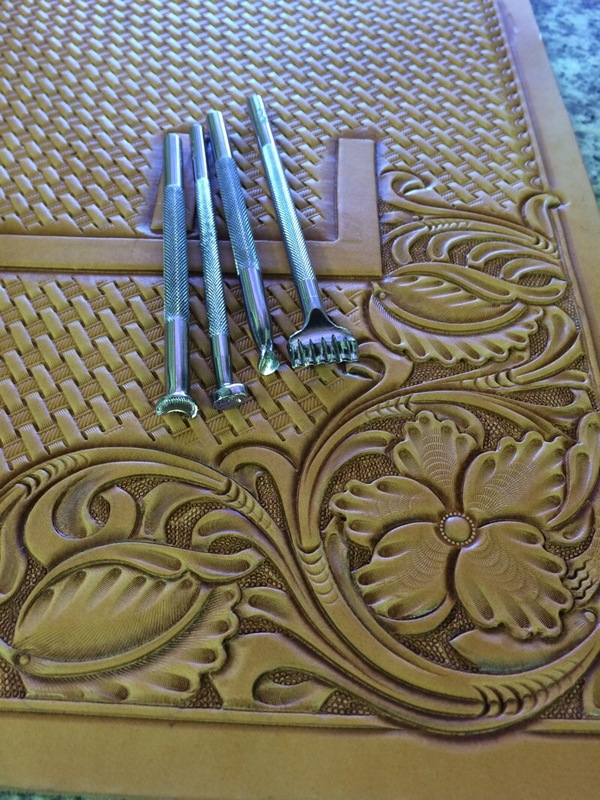 Below is an example of the accent tools I selected for this pattern but you can incorporate any tools you like for this phase. Take your time here and have fun… this is the decorative stage. When you are satisfied with your stamping work within the pattern, now is the time to embelish with the final decorative cuts using your swivel knife. Again, this is decorative so have fun and use this oppurtunity to work on your swivel knife mechanics. Decorative knife cuts are the best training for overall proficiency in using the swivel knife. 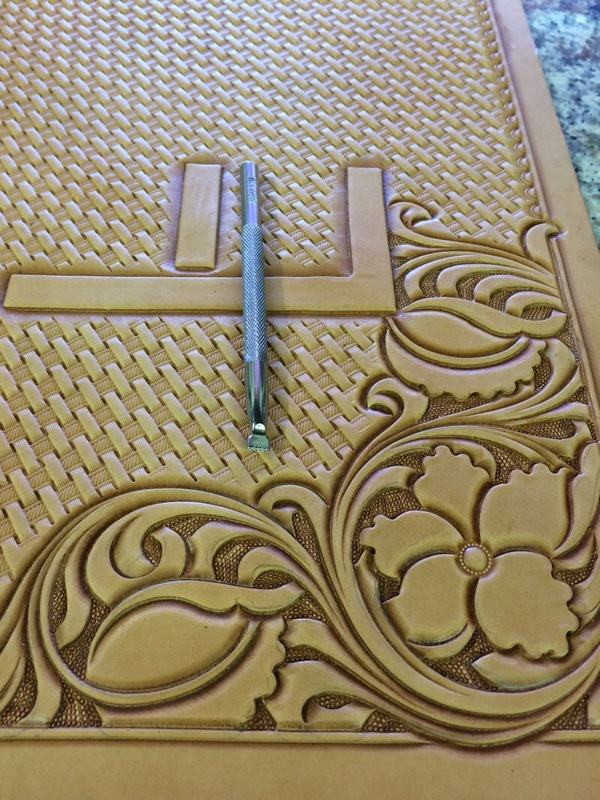 Once the decorative cuts are completed the pattern is complete. At this point, I will sometimes go back and undercut the pattern again just to relift the petals of leaves and flowers. This step is optional and completely up to you and the final pattern. If it looks good, leave it. As I mentioned before, this is my process for tooling and yours may be different. 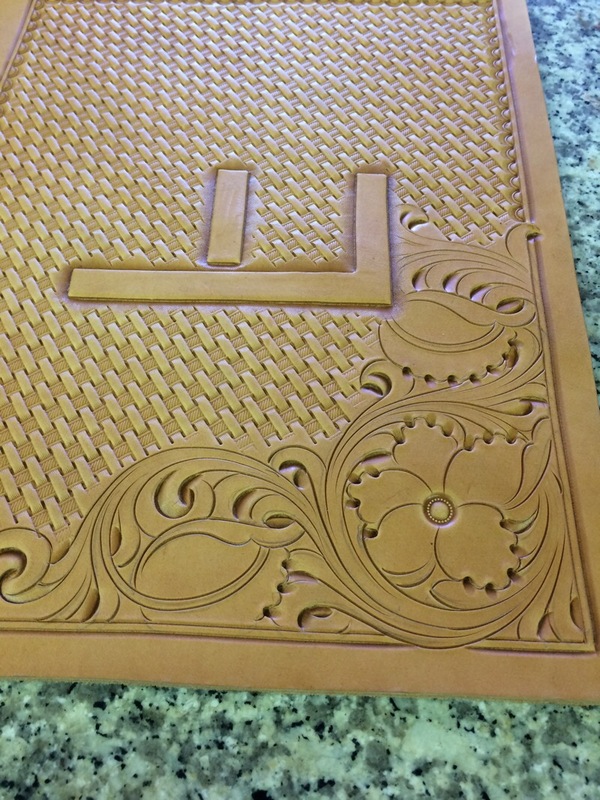 The main point to focus on is that in order to become more efficient in your stamping while maintaining quality you must have a system that you can work from no matter the pattern. Tooling is like a dance and as long as you can go from one tool to the next smoothly, you will become faster and faster per piece.